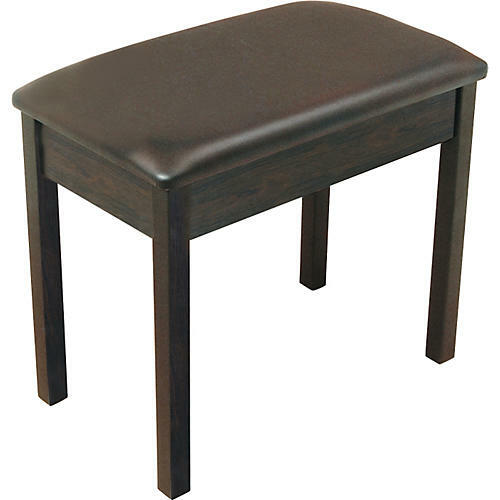 This Rosewood Keyboard Bench has durable, quality wood construction and a beautiful finish. A 1.5" high-density foam cushion features a vinyl cover with strategically placed air vents, providing superb comfort for hours of play. * Tilt stability tested. TMP is not responsible for injury due to improper use. Bench must be used on a level surface with all four legs touching the ground at the same time.